A longer preschool day geared towards pre-Kindergartners who are eager to explore the classroom more fully. Children continue to expand their social, emotional, and academic skills and work in a focused way with more advanced Montessori materials. This is a perfect class for the pre-Kindergartener who is ready for a longer school day. It is best suited for mature preschool children who are eager to explore the Montessori classroom more fully and are able to handle an extended day of nearly 6 hours. The class builds on the social, emotional, and academic skills that children are acquiring in the Ladybug classes. The Dragonfly day includes lunch where students have the opportunity to practice important social skills. The afternoon portion of the day provides an opportunity for expanded activities, teacher-led presentations, and additional time for working with the advanced Montessori materials in language, math, and social studies. Activities are geared for more creative problem-solving and more cooperative social learning experiences. 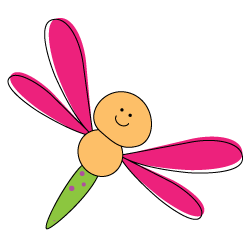 This modified Dragonfly class is ideal for those students who are going off to Kindergarten next year, but who are not quite ready for the longer, expanded preschool day. It may also be a fit for thos children who would benefit from the consistency of a daily class, but without the longer hours. The class builds on the social, emotional, and academic skills that children are acquiring in the Ladybug classes, but with peers who are a bit older and materials that are more advanced. Dragonfly students stay for lunch at school so that they may benefit from this time of important social skills practice. Click here to see our Schedule of Classes & Tuition. Click here to download our Class Sessions Chart.